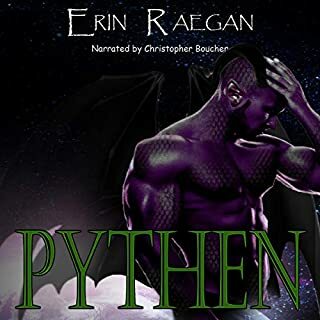 Being a Jutak warrior is all Kyele Bastien cares about until one mission changes everything. The Earth female has carved a place in his heart without even trying and now he'll do anything to make sure nothing ever hurts her again. Rescued from a Marenian slave auction, Joni Miller is relieved to have her life back, but there's one man making it difficult to remember why she shouldn't want to think about happy ever after any more. An enemy's need for revenge puts Joni in the path of danger and unleashes the fury of an elite soldier with dark abilities. I've wanted to hear Kyele story from the moment I met him in the first book. I love those dark brooding types. Kyele and Joanie are to hearts that have suffer at the hands of monsters. Joanie only wants to live her life nightmare free and in the arms of Kyele. However, Kyele feels unworthy and pushes her away. But when Joanie is attacked one night he lets his control go and takes what he's been missing. Overall, I think the plot is getting better. I still find it a little slow. Also, this book doesn't show you who may be next in the series. I hope this doesn't mean the series is over though. I think there is so much more that needs to be covered. Like the past 3 books this one is good! A little fun, a little sad and a lot of hot!!! Overall I liked it BUT the narration of Torkel and Faye are absolutely horrible!!! I cringed every time Faye talked. I couldn't give this book 5 stars because honestly Torkel voice was horrible for me and honestly the female voices were a little wrong. it is hard when you listen to the other books and get use to the voice but overall the book was really good. Loved the storyline and so ready for the next book. Narrator should stick to TV "How it's Made"
I loved that the was a male and female narrator, but their performance left a lot to be desired. They simply didn't match the descriptions of the people in the story. or was almost like they were making fun of the characters instead. I mean why does Faith sound so emo? I waited so long for the audible version of this book, which I enjoyed. But the narrators were very dry- they did not move me at all. Michael was the only narrator thus far who did these warriors justice. The guy's impression of Torkel in this version was awful!!! . I am looking forward to Rydak's story with bated breath and i hope whichever narrator they use ( fingers crossed it's Michael) will do it justice. LOVING this series!!!!!! This narrator and the female voice didn't do justice to the characters. The woman who did the voices for the women sounded like there was anything else she would rather be doing than reading their parts. A disappointing listen. just the narration was not great. some of the warriors (Torkel especially) sounded like a girl. 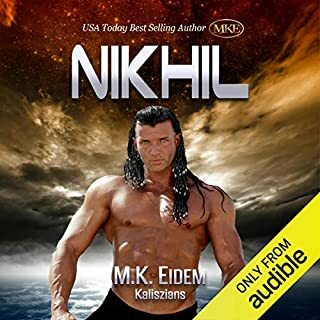 I like the written book, in fact I have bought the whole series but if I could only figure out how to get a refund on this audible version I would request one. The female vocals were dreadful. No emotion matching to text or content. And seriously off putting. I didn't finish this one as quickly as the other books in this series. Not because of the story, but because of the narrators and lack of sound effects. There was also a lot of popping in this audio, as though the narrator was blowing against the mic. The narrators weren't bad, but didn't seem to go together as well as the ones in the book before. The sound effects weren't as good either, and there wasn't as much as there was in the other books. For this reason, I found the audio version of this book lacking, but the story itself was enjoyable. I hope the narrators from the last book are in the next one and it has more sound effects. If not, I can't see myself getting the next book. If you could sum up Kyele's Passion in three words, what would they be? What other book might you compare Kyele's Passion to, and why? It's not a fair question authors create original characters and it would be an insult to compare them. But for the sake of being honest S.E Smith and M.K. Eidem write characters with just as much depth and background to them. Which character – as performed by Ryder Watkins and Char Adams – was your favourite? Have to admit to liking Lissi, looking forward to hearing more from her in Rydak's Fall. Have to admit to laughing quite a bit, especially with the antics of the women. 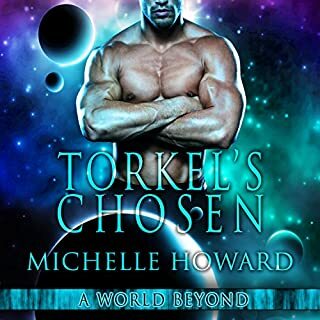 Just love the books that Michelle Howard writes including her warlord series. Looking forward to reading and hearing more from her. love the series ! need more as now I want to know what happens to the rest of the teams members. the emotions of kyele and joni just made me feel that I was there in the story, now I want to hear what happens next with the teams as the journey for them all is far from over.